A truly one of a kind Lowcountry experience with the Holy City Hogfather himself Tank Jackson. Whole hog BBQ cooked low and slow over pecans logs. 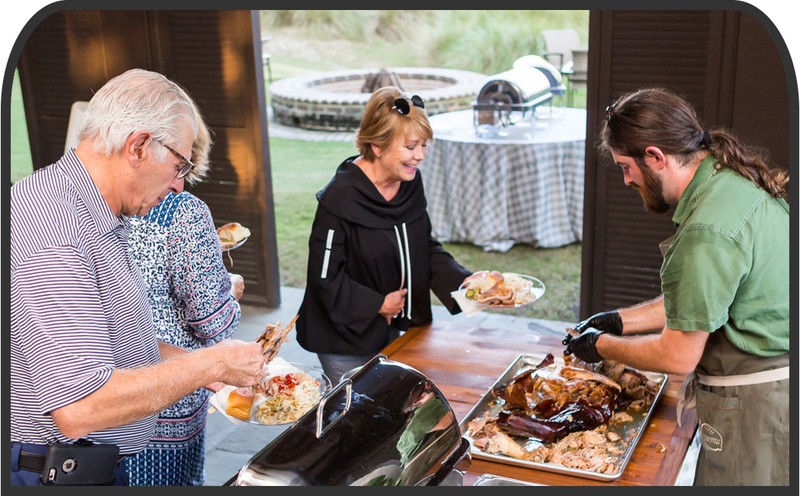 All of our flavors come by utilizing the locally grown ingredients: heirloom vegetables & grains and of course HCH heritage breed hogs & locally caught seafood (seasonally) that will paint the truest picture of what is real Lowcountry cuisine.